At Go Feet, Dr. Stuart Honick and his staff use orthotics and other devices to help their patients get the pain relief they are looking for. The doctor serve residents in the Hammonton and Mays Landing communities in New Jersey. Orthotics are customized shoe inserts that help to correct an abnormal walking pattern. Although some people call orthotics "arch supports" they are actually specialized devices that help to make the functions of standing, walking, and running more comfortable and efficient, by altering slightly the angles at which the foot strikes the ground. Dr. Honick prescribes orthotics as a conservative approach to many foot problems or as a method of control after certain types of foot surgery. There are various types of orthotics and they are constructed of many different materials. All of them are used to improve foot function and minimize the stress that could ultimately cause foot deformity and pain. This device is designed to control function and may be made from a firm material such as plastic or carbon fiber, and is used primarily for walking or dress shoes. It is typically fabricated from a plaster of paris mold of the foot or a foam impression technique. The orthotic device extends from the heel to the ball of the foot. It is worn in a closed toe shoe with a heel height of under two inches. Rigid orthotics are designed to control motion in the subtalar joint, which is found directly below the ankle joint. The orthotics may help to improve symptoms of strains, aches, leg pain, low back pain, and leg length discrepancies. An accommodative device helps to absorb shock, increase balance, and take pressure off of uncomfortable or sore spots. It is constructed of soft, compressible materials. The advantage of an accommodative device is that it may be easily adjusted to changing weight-bearing forces of the foot. These types of devices are very effective for arthritic and grossly deformed feet where there is a loss of protective fatty tissue on the bottom of the foot. It is also commonly used in the care of the diabetic foot. This type of orthotic device provides a dynamic balance of the foot while walking or participating in sports. The orthotic allows the foot to maintain proper anatomic relationships of the muscles and tendons allowing them to perform more efficiently. These orthotic devices are effective in the treatment of children with foot deformities. It is recommended that children with deformities such as in-toe gait, flatfeet, postsurgical correction be placed in orthotics to stabilize the foot and promote a more neutral gait pattern. The orthotics can be placed directly into a standard shoe, or an athletic sneaker. The orthotics will need to be replaced when the child's foot has grown approximately two sizes. 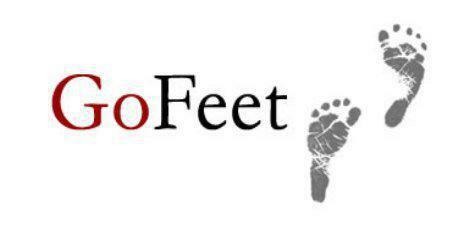 Different types of orthotics may be needed as the child's foot develops, and changes shape. The length of time a child needs orthotics varies depending on the seriousness of the deformity and how soon correction is addressed. What conditions can orthotics correct? Orthotics can be used to help treat many different types of foot conditions. Plantar fasciitis, bunions, heel spurs, hammertoes, and structural abnormalities of the foot are all helped with the use of orthotics. A person who has fallen arches can use specially made orthotics that support the arch and strengthen the soft tissues in the foot to prevent further injury. Orthotics provide support, but they also act as a cushion to absorb the shock of the weight of the body as a person walks. Using orthotics while recovering from a foot injury, may prevent other problems from occurring. This includes bone spurs and plantar fasciitis.